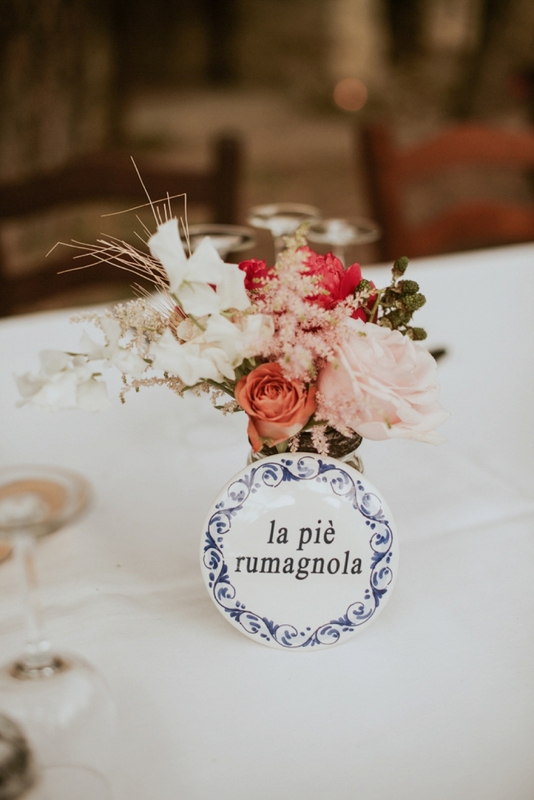 Let me present you what was probably the more creative and particular wedding of the last season! 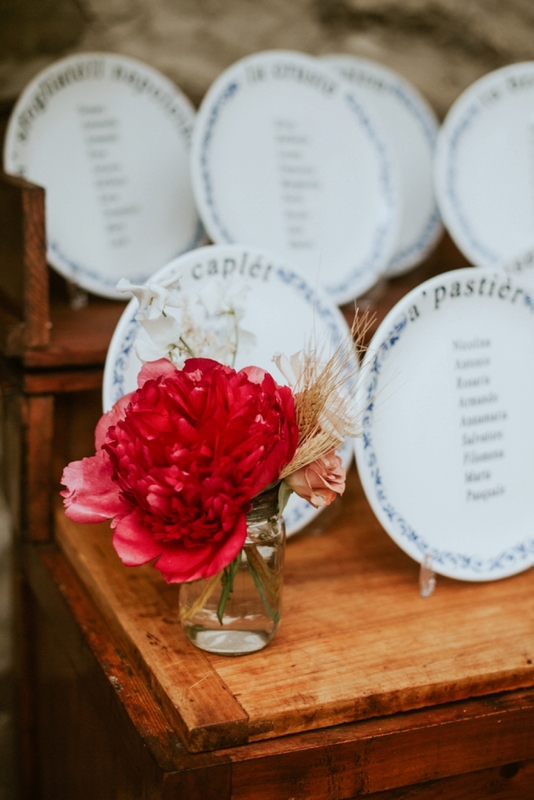 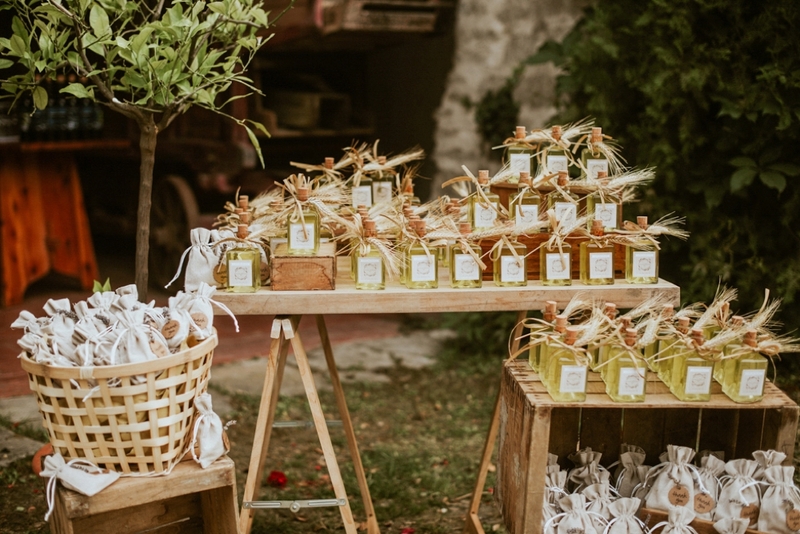 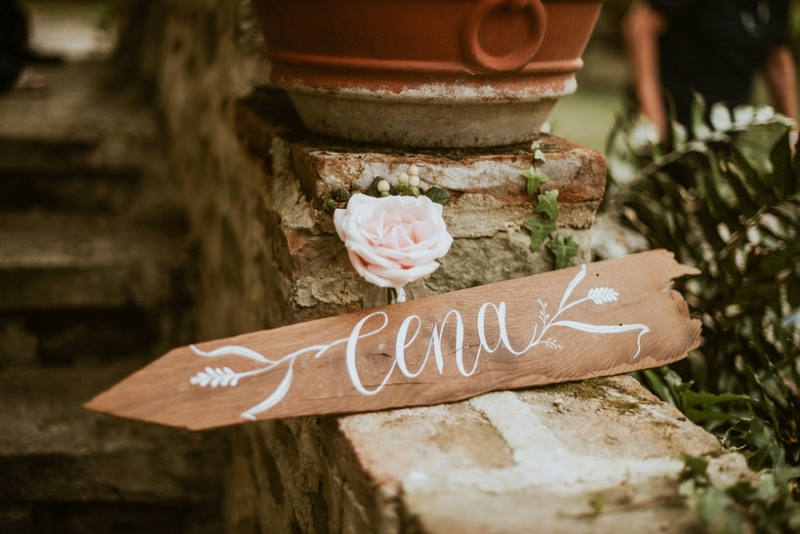 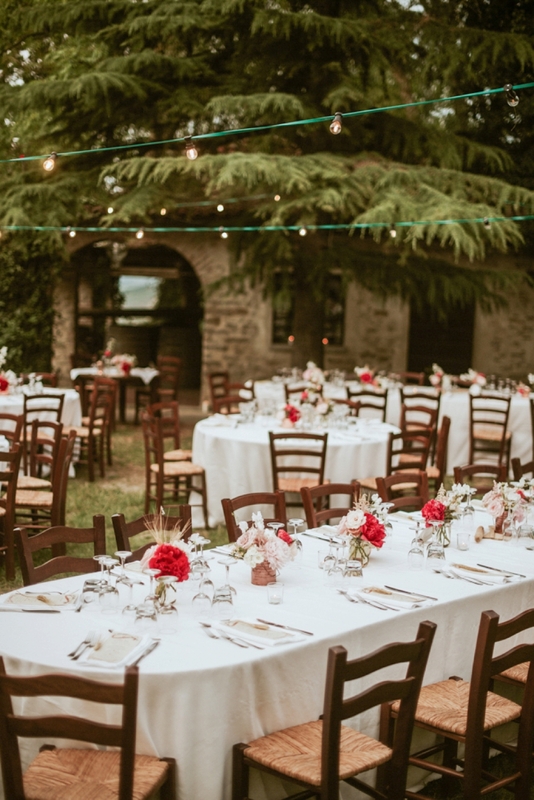 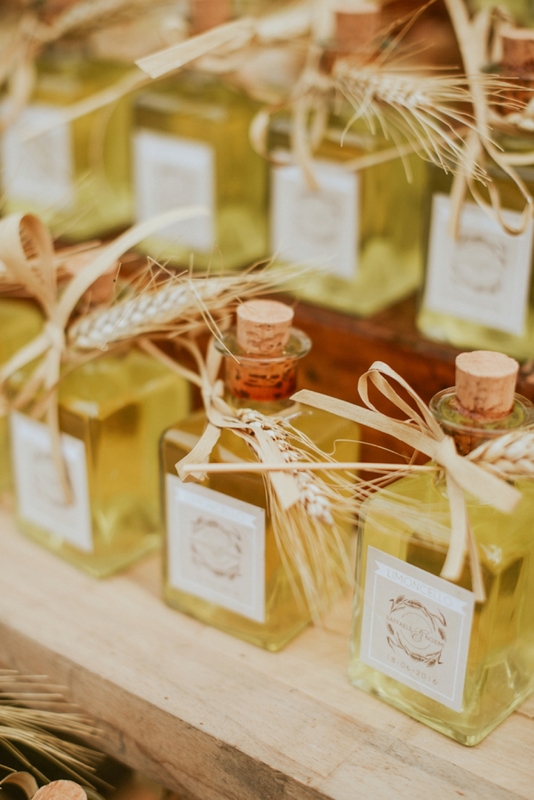 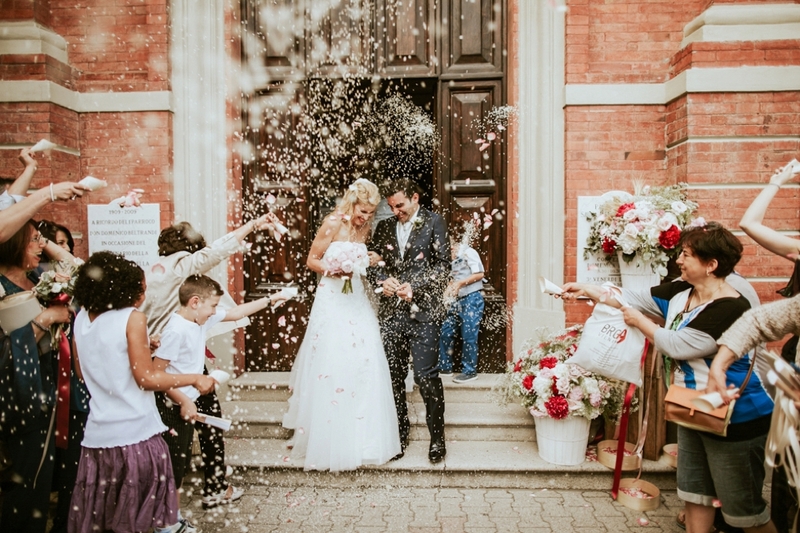 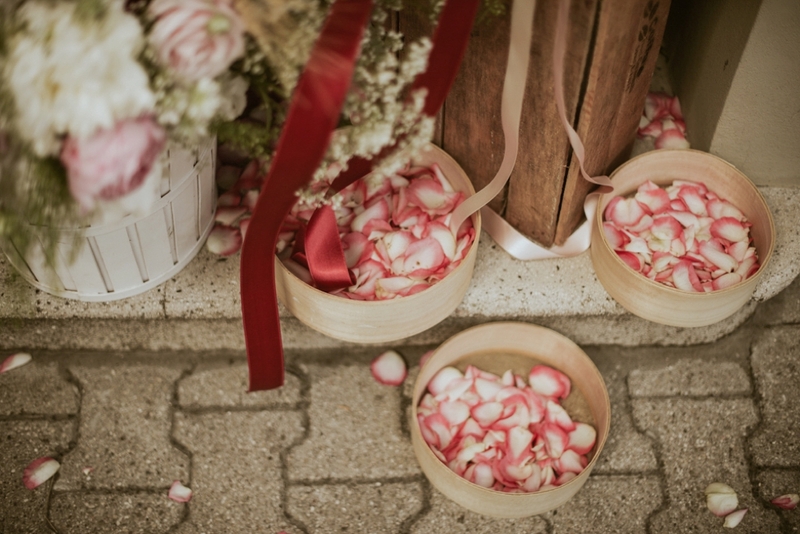 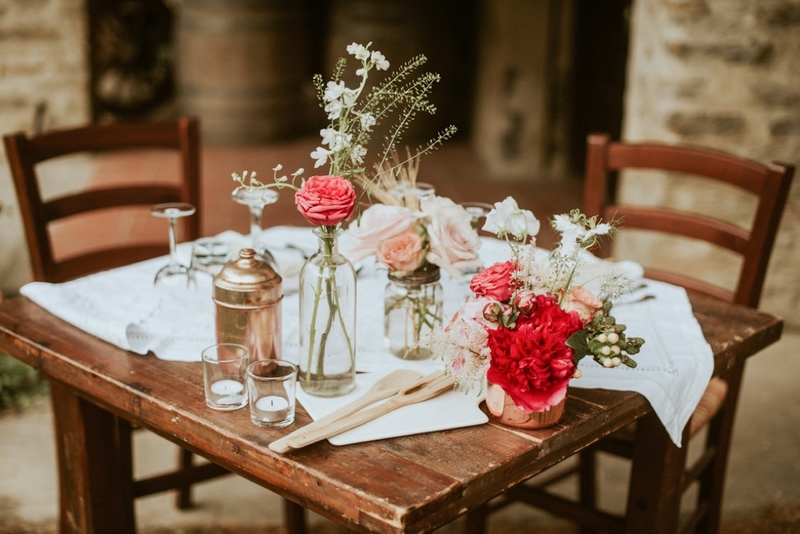 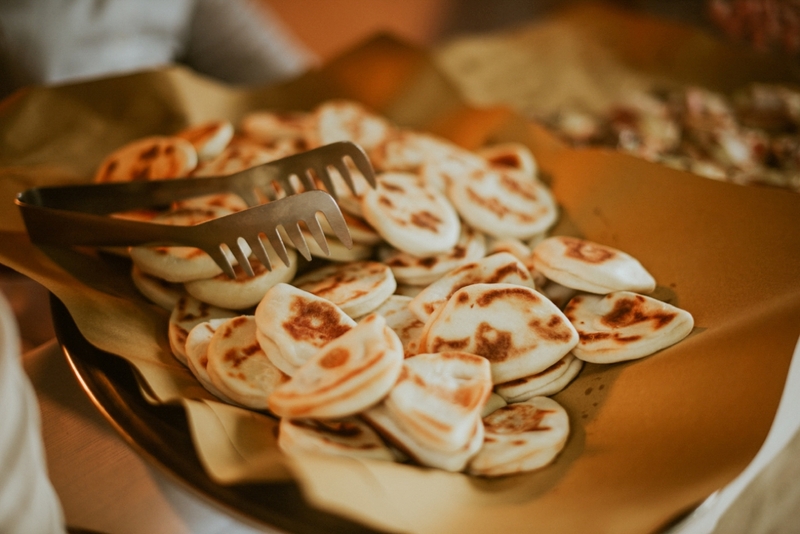 Noemi and Raffaele and their rustic foodie Italy wedding! 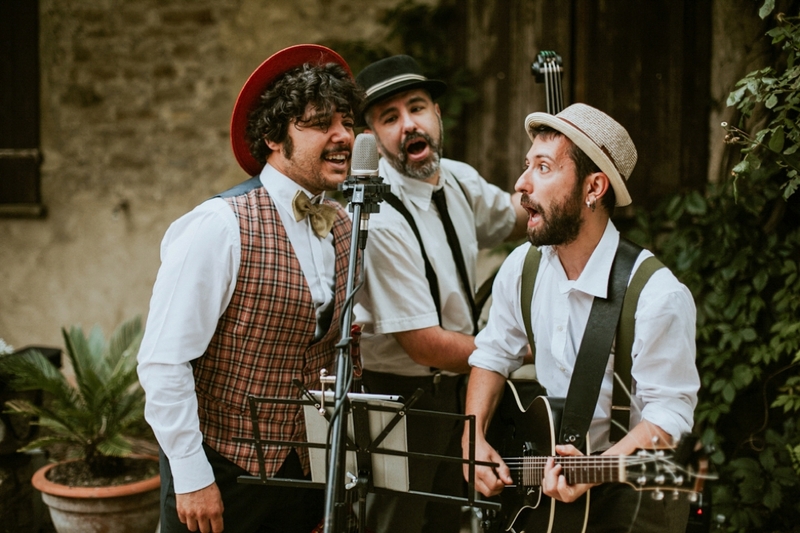 These guys live in the heart or Romagna, where Noemi is originally from. 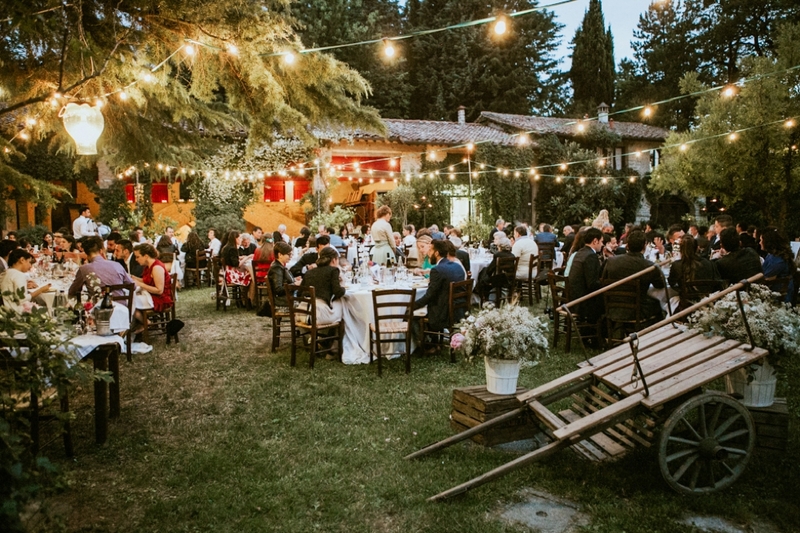 Raffaele comes from Campania and he is a true southern man! 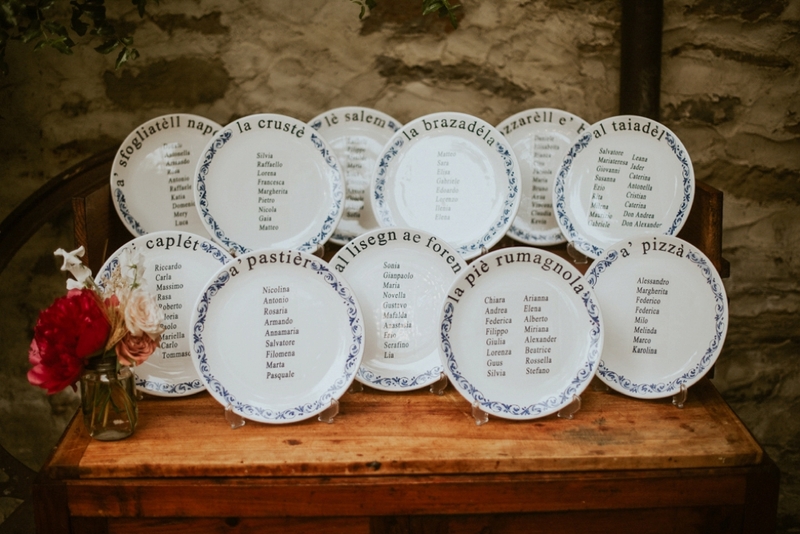 They share a love for food, for their families and for their traditions. 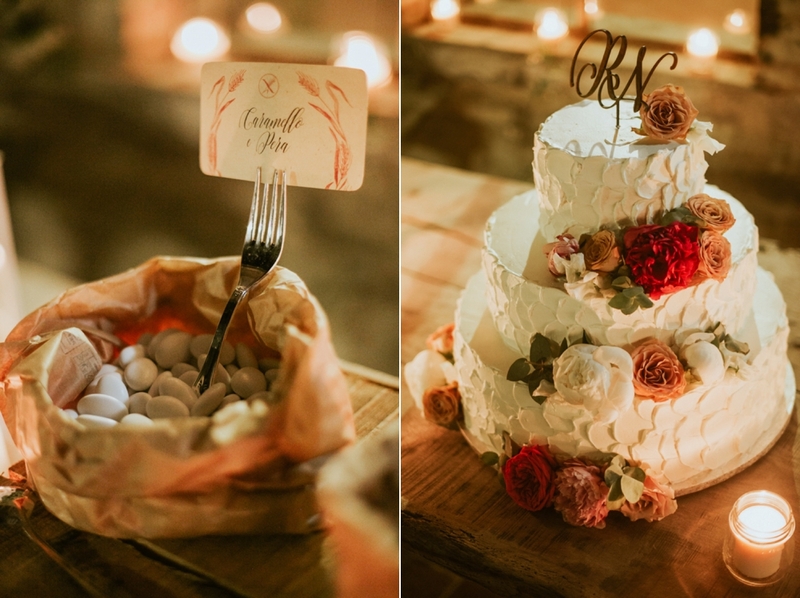 And what better theme could there have been for their wedding! 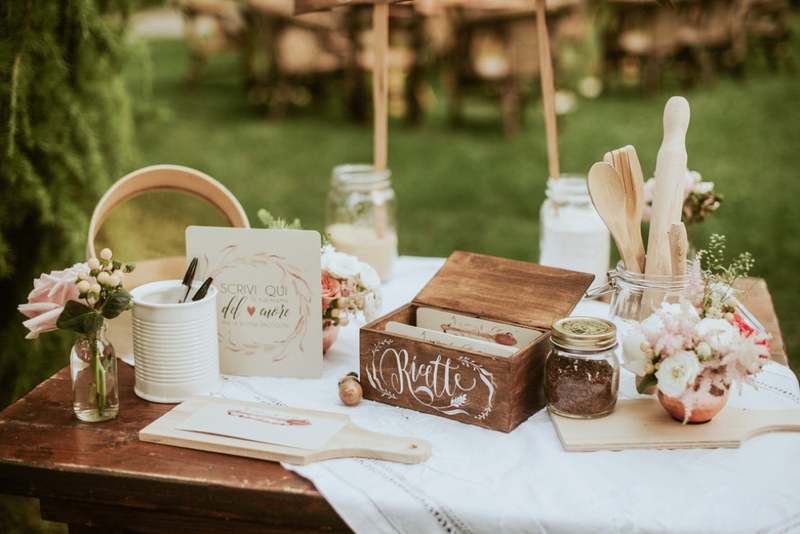 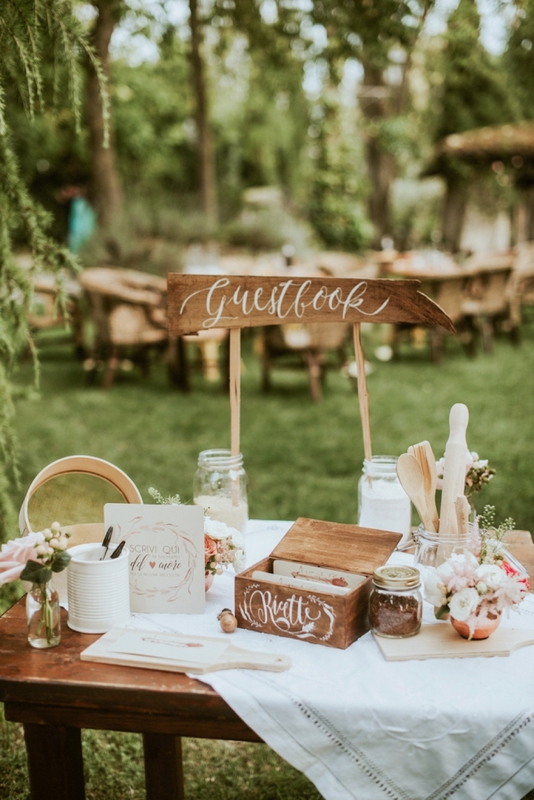 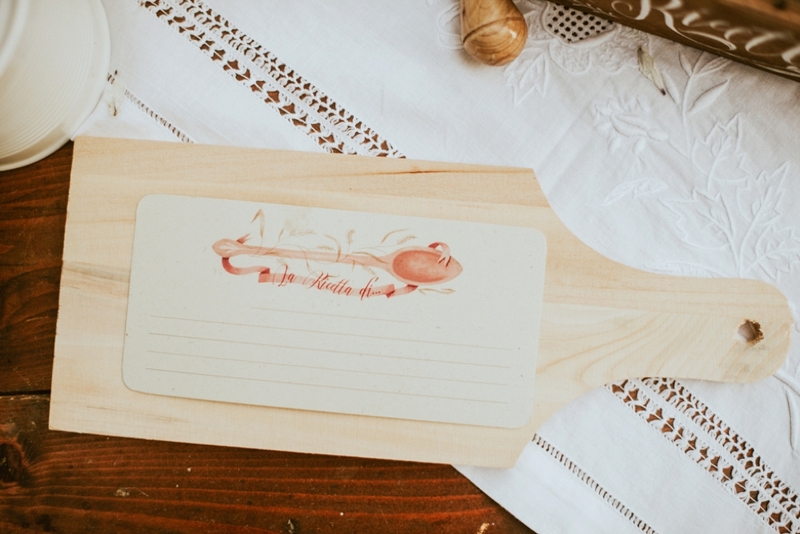 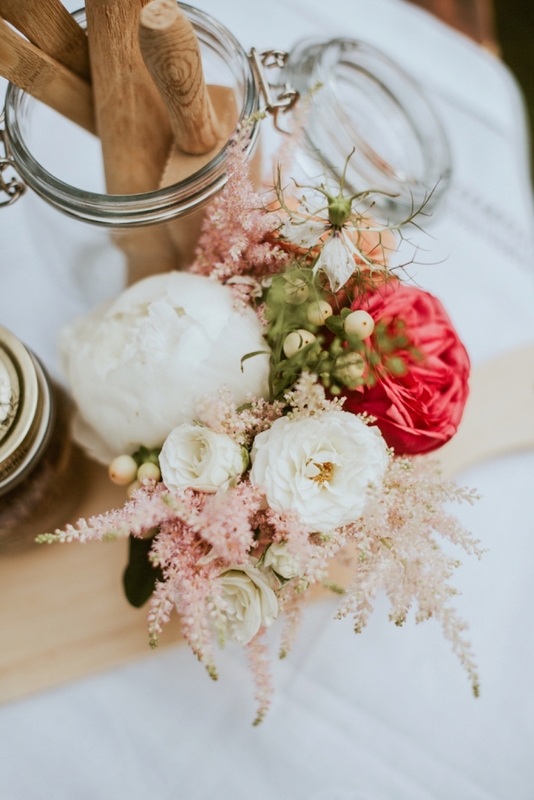 We played with a warm palette of neutrals and cherry, and incorporated foodie elements like flour sifters, plates, wooden spoons and rolling pins, cutting boards and wheat sprigs. 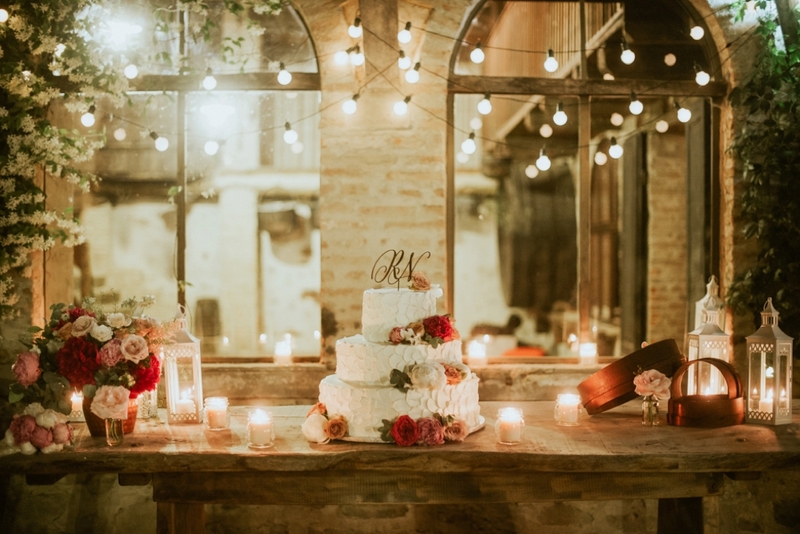 We wanted a relaxed and rustic atmosphere and some fun and interesting details. 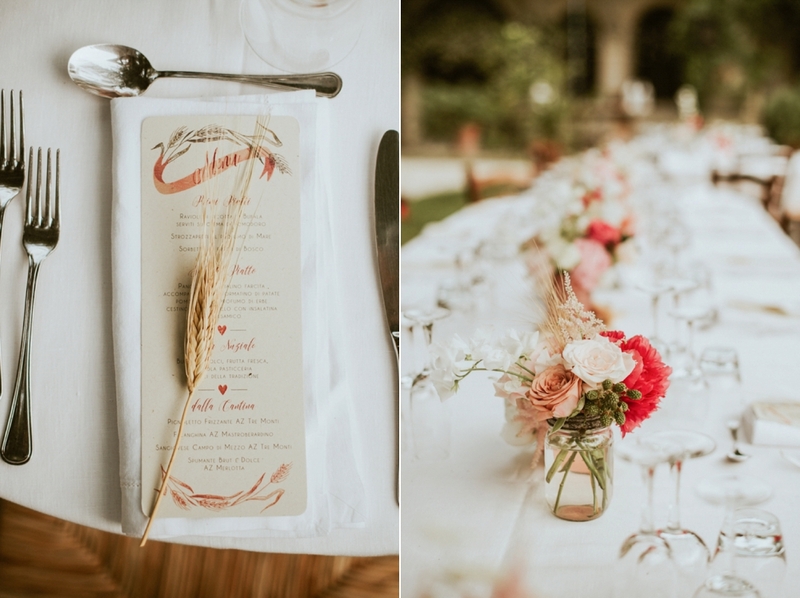 The guests were really amazed and I am very proud of the result! 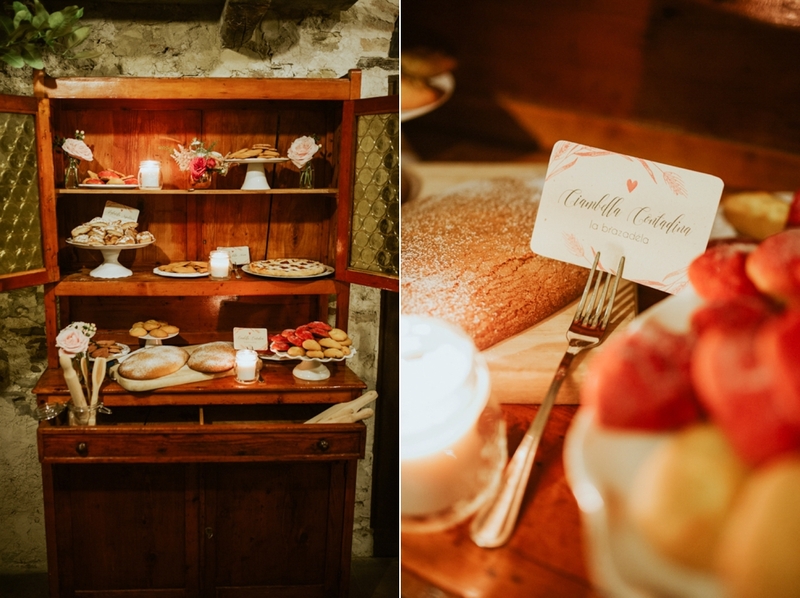 Claudia of Mondo Mombo did a wonderful job of subtly incorporating the theme in her illustrated stationery pieces and Sofia of Il Profumo dei fiori did the same with her beautiful florals, sprinkled wit berries and wheat too. 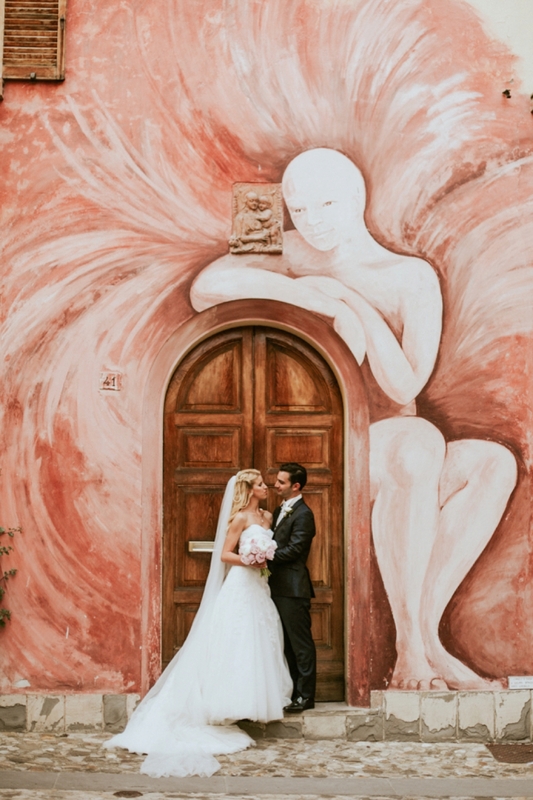 The true star of this wedding was, of course not counting our gorgeous couple, the location. 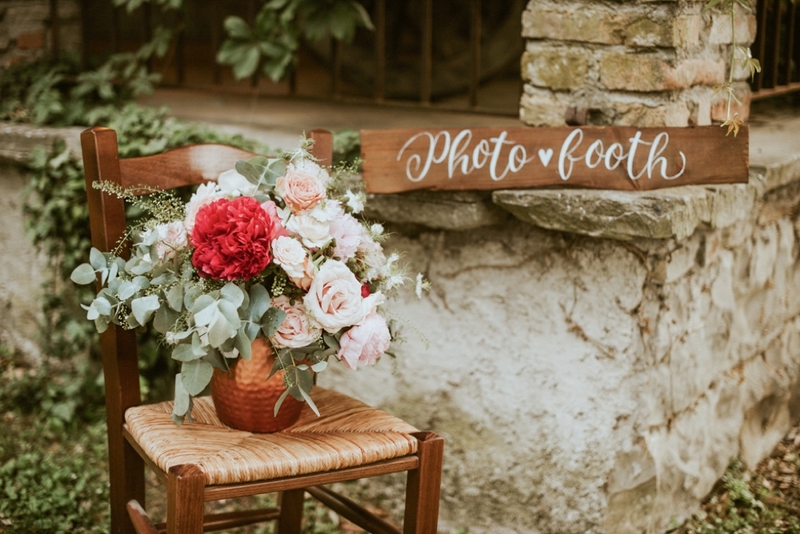 Borgo Fregnano is a gem hidden in the hills of Romagna, with so many hidden corners, the charming courtyard, the ivy covered medieval walls. 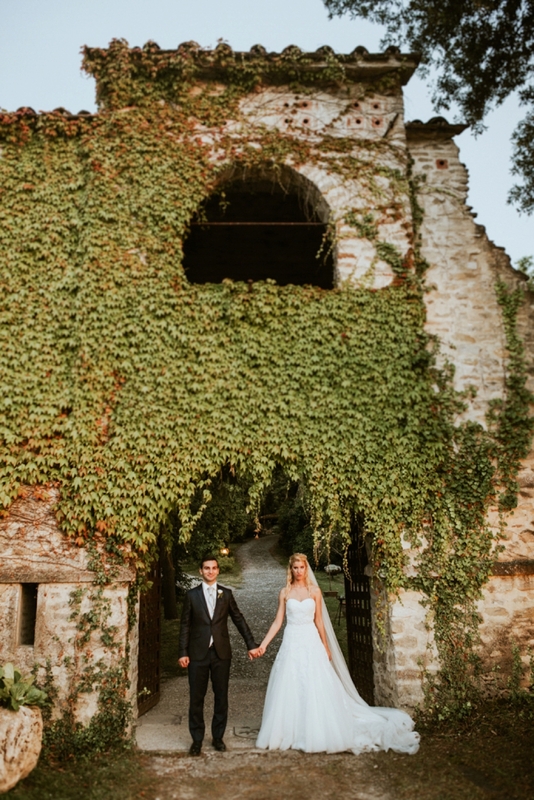 A truly spectacular place that was a real pleasure to prettify for this wedding!